← The TV segments that I wrote last week! You may remember the recipes that I posted from the cooking demo with Molly Kimball. 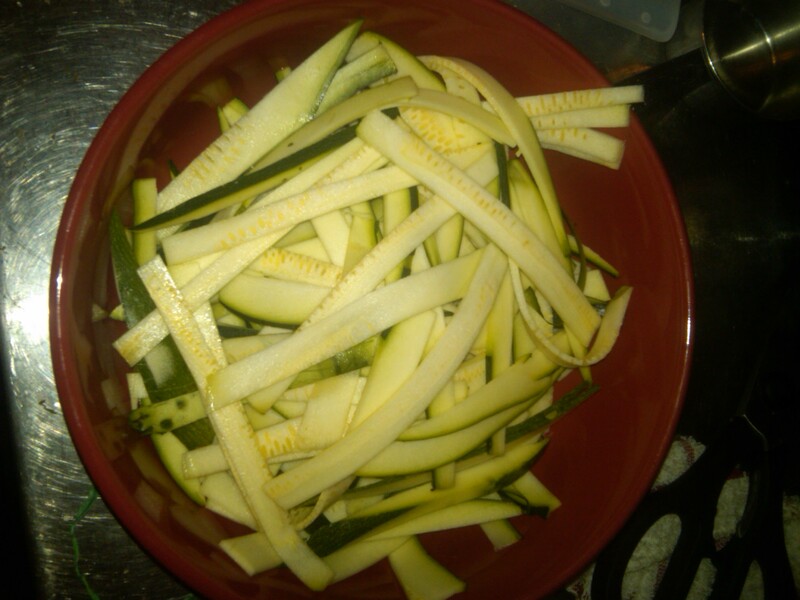 One was Zucchini faux lo mein, which sounded (and smelled) way too good to pass up! Intrigued, I decided I would make a version of the dish myself, with some tweaks to suit my tastes. 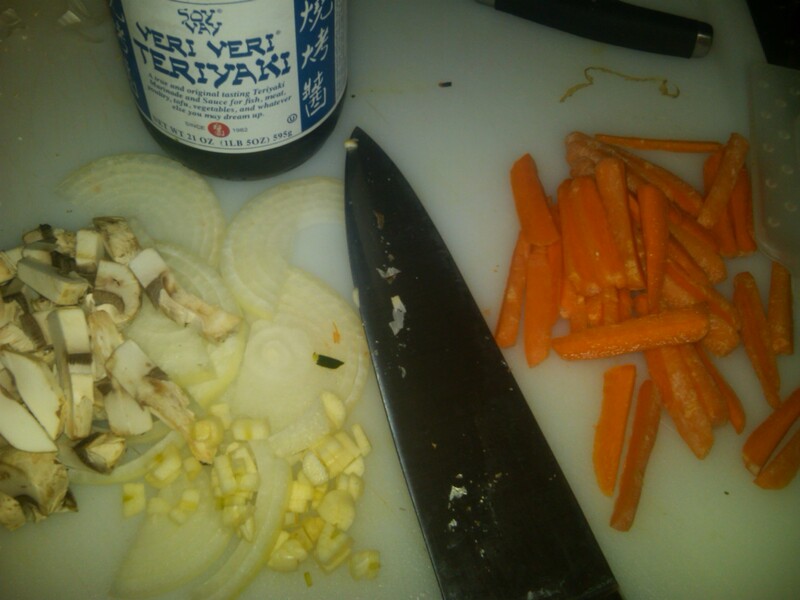 Since teriyaki salmon is the best thing in the world, or at least one of them, and since I had two fillet in the freezer, it was only natural that I include that as the protein component. I went with what I had: onion, carrot, mushroom, spinach, garlic, zucchini, my favorite teriyaki sauce. I sauteed the onion, garlic, and mushrooms for a few minutes until the mushrooms were getting nice and dark, then added the carrots to soften for a bit. 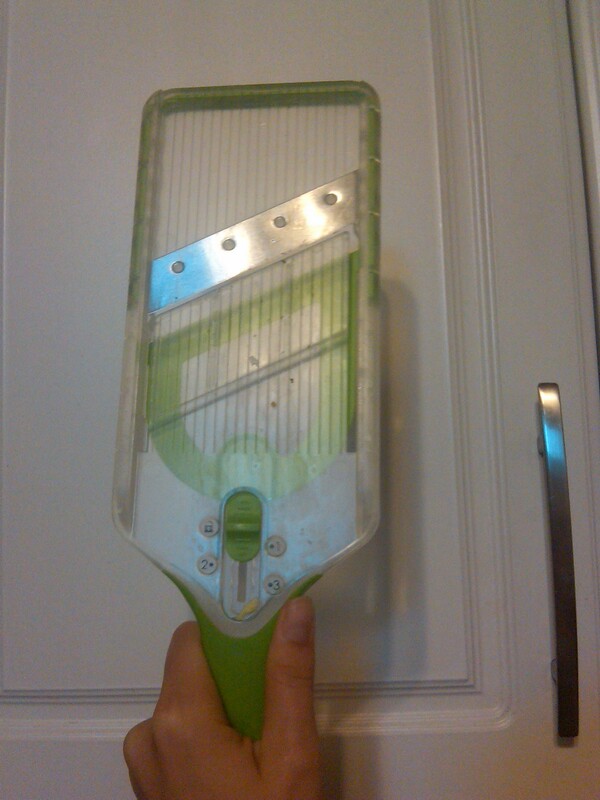 While this was happening, I popped the defrosted fish into the oven at 350 with a drizzle of teriyaki. Once the carrots had cooked a tad, I added the zucchini and spinach, and a splash of broth that was lying around to steam a bit. I kept checking on the fish and took it out when it was just cooked through. 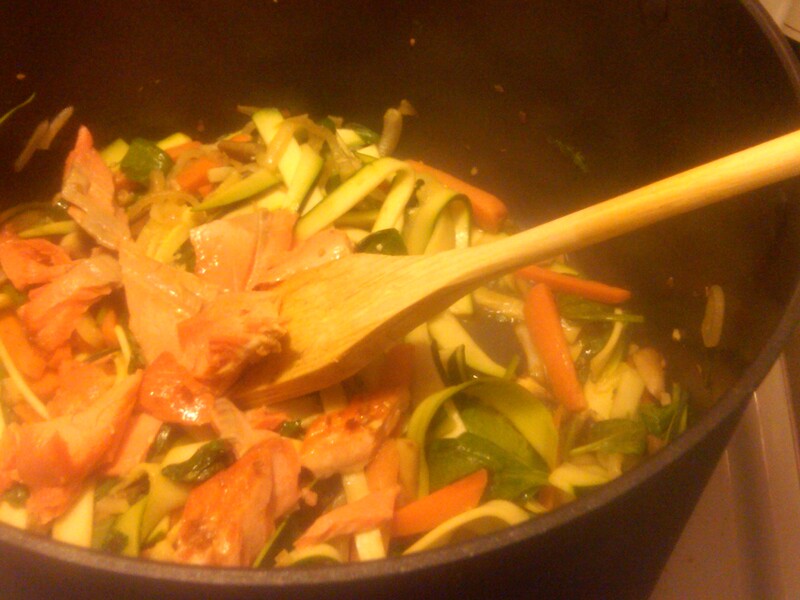 I flaked it, threw it in the pot, and added an extra 2-3 tablespoons of teriyaki sauce. I cooked it all just until the spinach was wilted, then plated it up nice and hot. This low-carb dinner was absolutely delicious. You can bet I’ll be making it again soon! 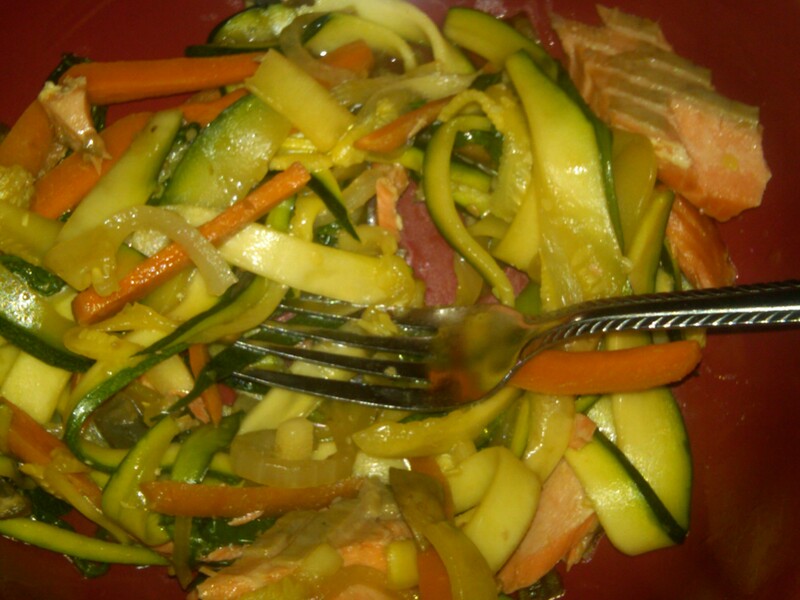 This entry was posted in Nutrition, Recipes and tagged healthy dinner, low carb cooking, mandoline, salmon, teriyaki, zucchini ribbons. Bookmark the permalink.